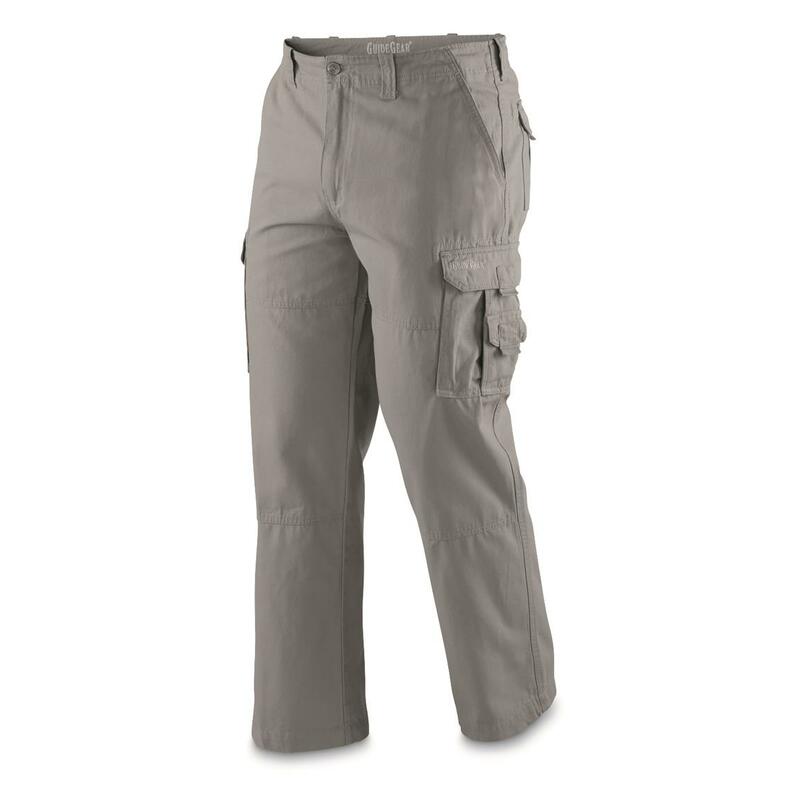 Our Guide Gear® Cargo Pants are loaded with pockets to keep essentials close at hand. 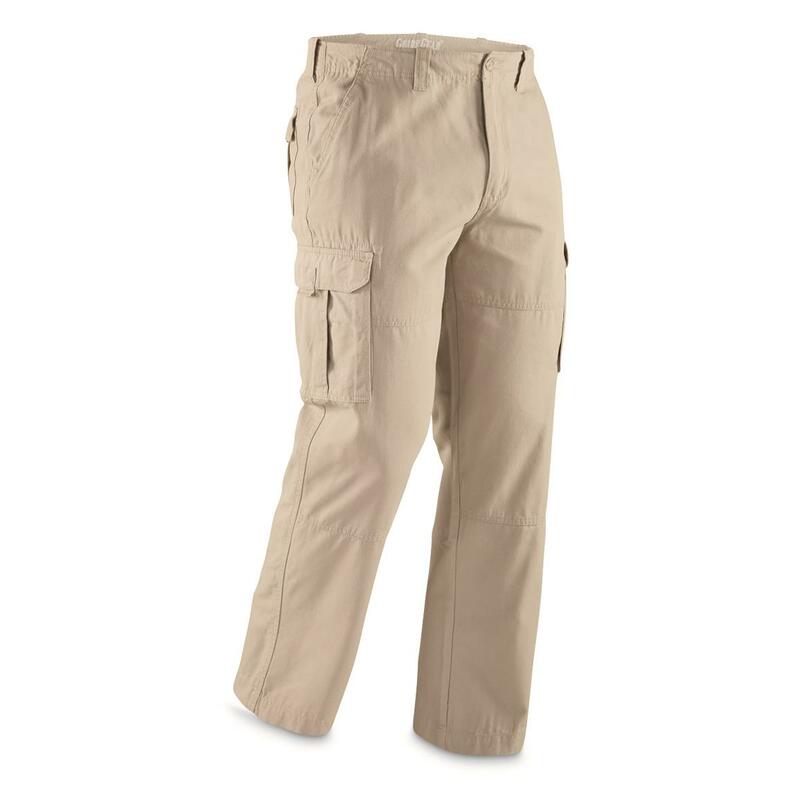 Great for hiking, yard work, relaxing at the campsite or in your backyard…even for casual day at work. 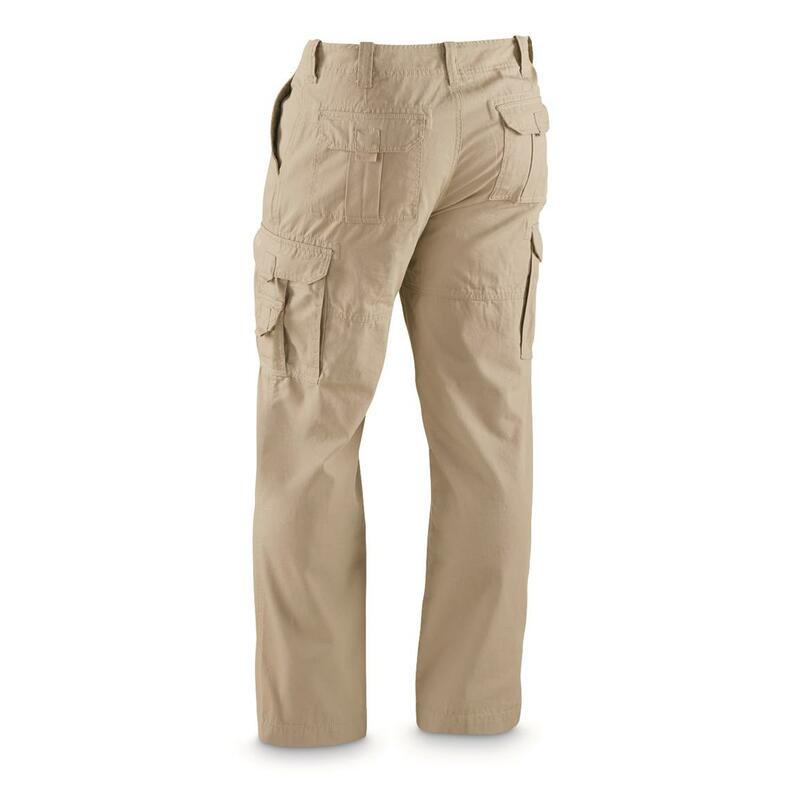 Order these trail-tested Cargo Pants today. Guide Gear Mens Outdoor Cargo Pants is rated 3.7 out of 5 by 23. 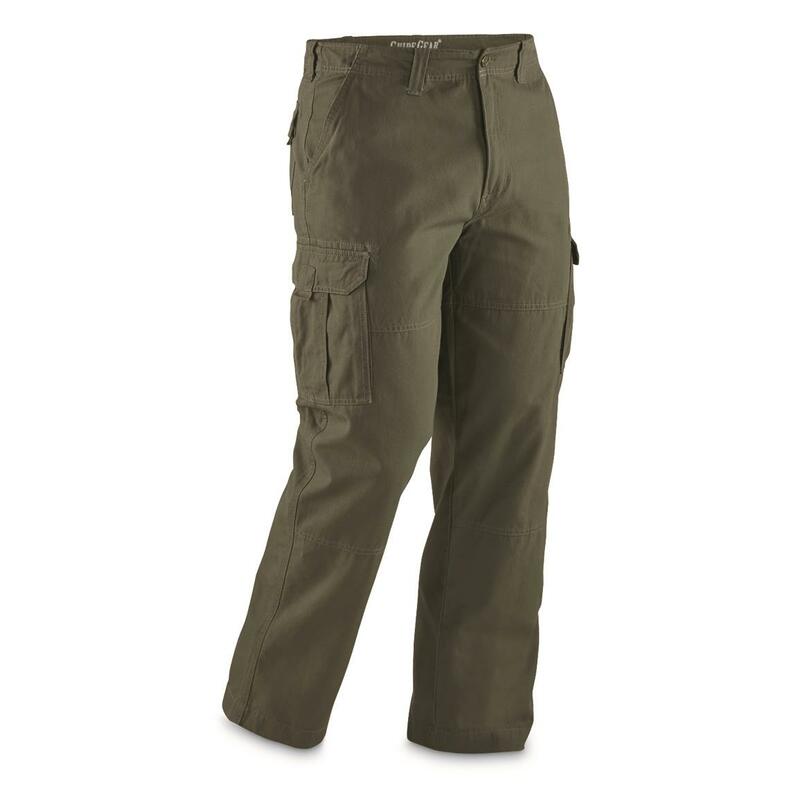 Rated 4 out of 5 by Mountain Mike from Great deal Nice fit am a repeat buyer live in these cargo pants or my 5 pocket jeans. Rated 1 out of 5 by None of your business from I am NOT impressed The stitching is cheesy and the closure button fell off, I guess that is why they include a spare button - thanks alot. 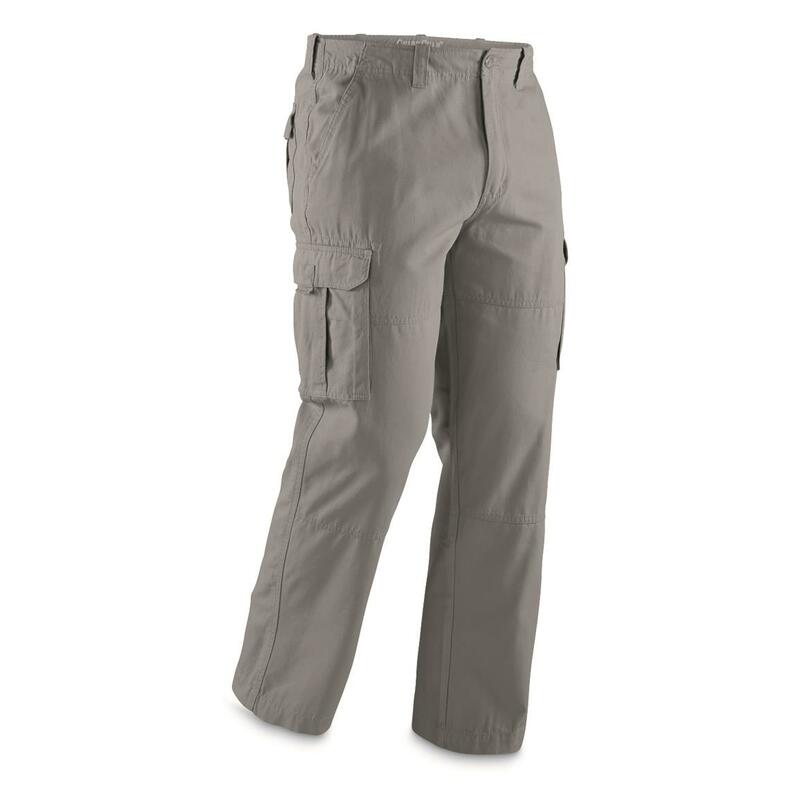 As with other pants I have bought lately the fly opening has been shortened which is a source of great inconvenience. As well, the cheesy stitching is done so as to make it look as if the knees are reinforced, but they are not. Rated 2 out of 5 by randy from Bad sewing I bought 2 pair, one brown, one od, on both pair the sewing has came out of one of the cargo pockets. Rated 5 out of 5 by Rick527 from Fantastic price Great fit and great price I should have bought two. Rated 4 out of 5 by RWH520 from Nice quality Good price for quality pants. 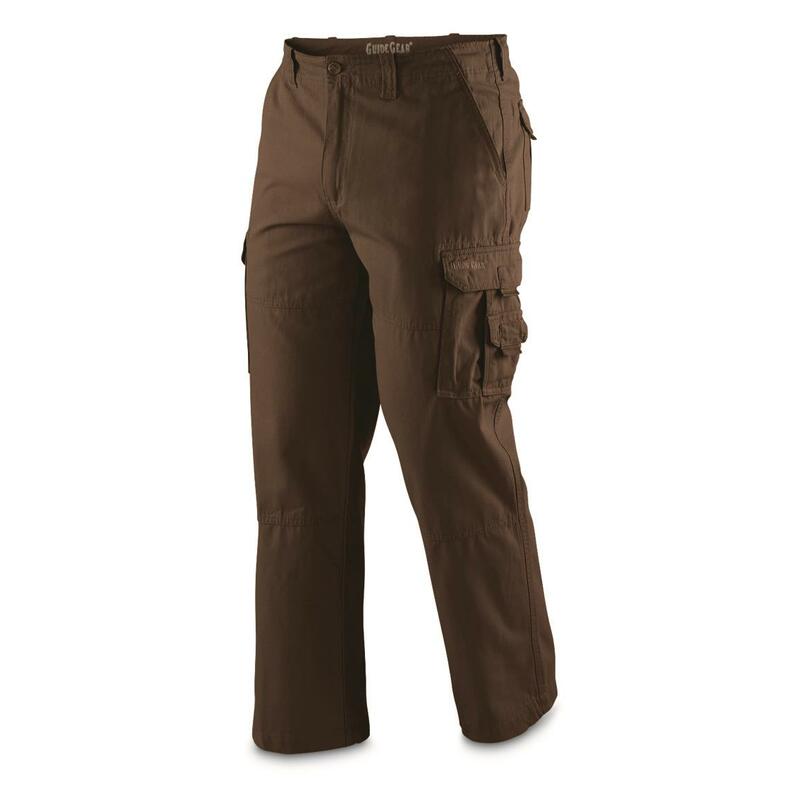 Rated 2 out of 5 by Jupiterpez from Cargo pants Pants are made of great material.Poor product design!As product states; pants are too long for medium.Had to cut off 3" and re-hem.Found pants to be too tight in hips.Front pockets on pants are not made wide enough to easily get hands into; very hard to retrieve anything from front pockets.Great cargo pockets.Due to design, I will not purchase another pair. Rated 5 out of 5 by Biblehillvol from Great product These pants fit perfectly and fit great. The price was also unbeatable. 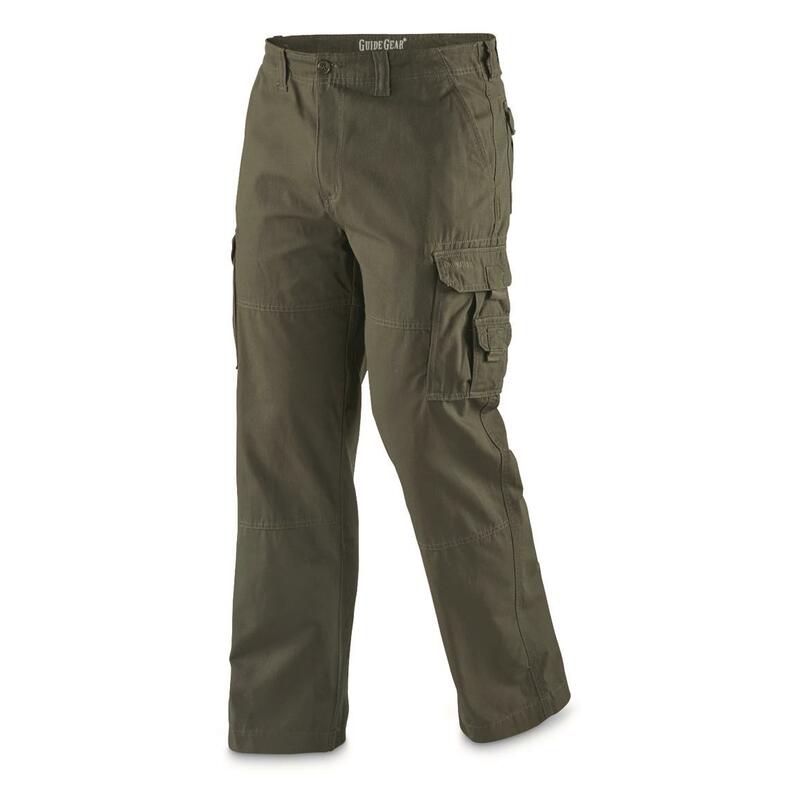 I have tried many different styles of cargos but these are the best.